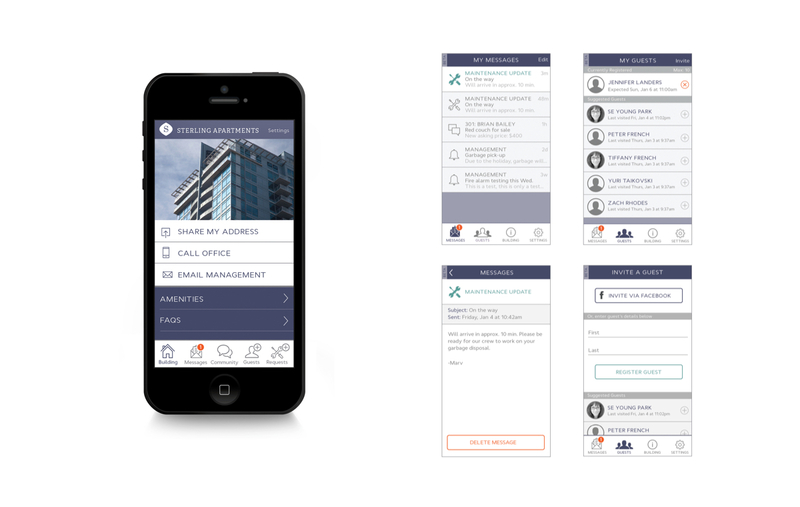 Mobile Doorman is a white-label app for high-end residential property managers and residents to communicate and develop a sense of community. Mobile Doorman was a brand new company. We worked with them from square one, starting with their brand strategy and visual identity, and carrying it through to their marketing collateral and app. Our work included copywriting and design services for all of their marketing materials and digital products, including their marketing website, web app and iOS and Android app. Over the course of 2014, Mobile Doorman built momentum as their products were adopted in over twenty high-end residential buildings across the United States. Years later, they continue to grow and be featured in leading real estate tech news sources, attracting top talent and an impressive national portfolio of clients. 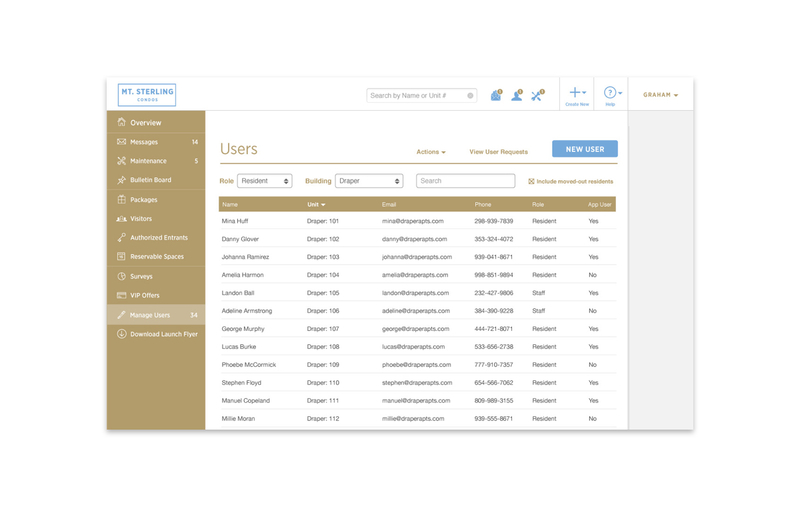 We developed a simple interface for the property managers to oversee operations from a single online dashboard. 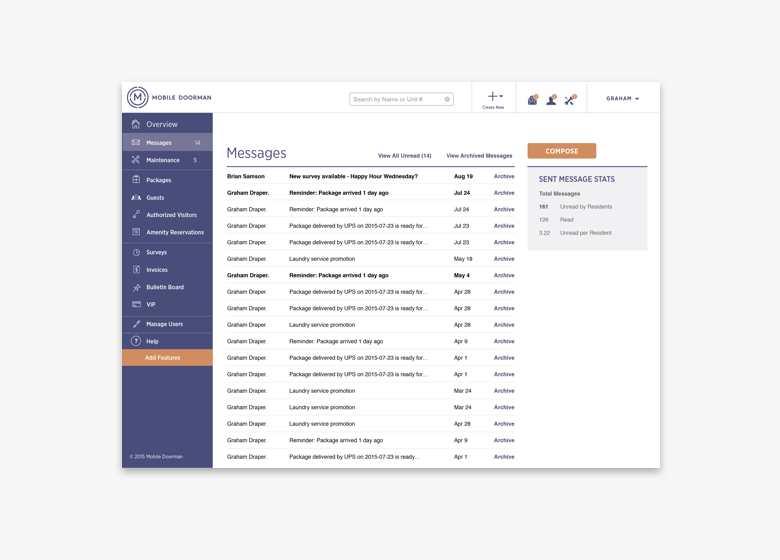 From maintenance requests to financials and direct messages from tenants, managers were finally given the power of organization without being tethered to a single workstation. Doormen required a separate app, which we designed specifically for use on a tablet. The doorman app gave staff the ability to assist tenants with services such as package deliveries and guest check-ins with greater speed and accuracy. Because it was tied to the same database, we could synchronize information with the manager's web portal. 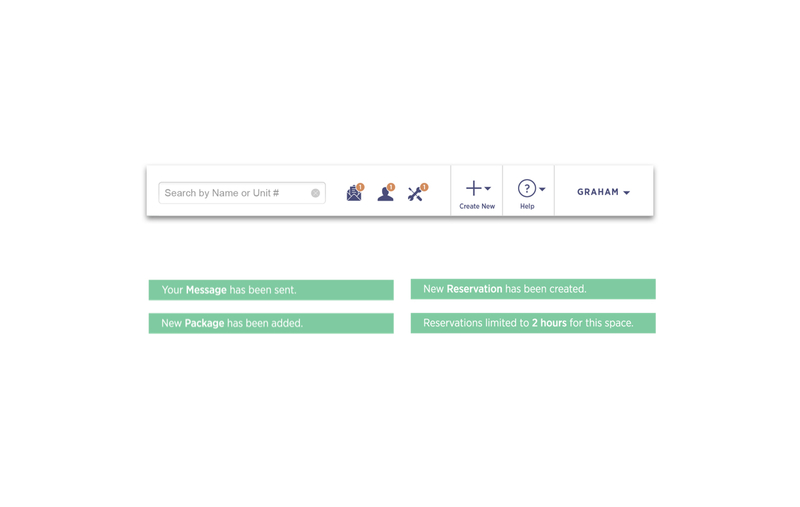 This made for a more organized staff, easier record-keeping and a better overall tenant experience. 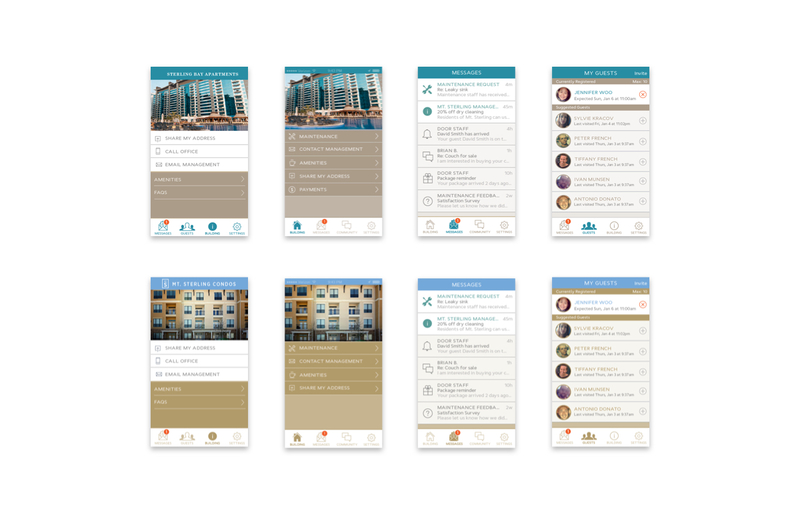 The resident's app was designed for use on their mobile devices—the same devices that captured their attention for hours of their day, everyday. 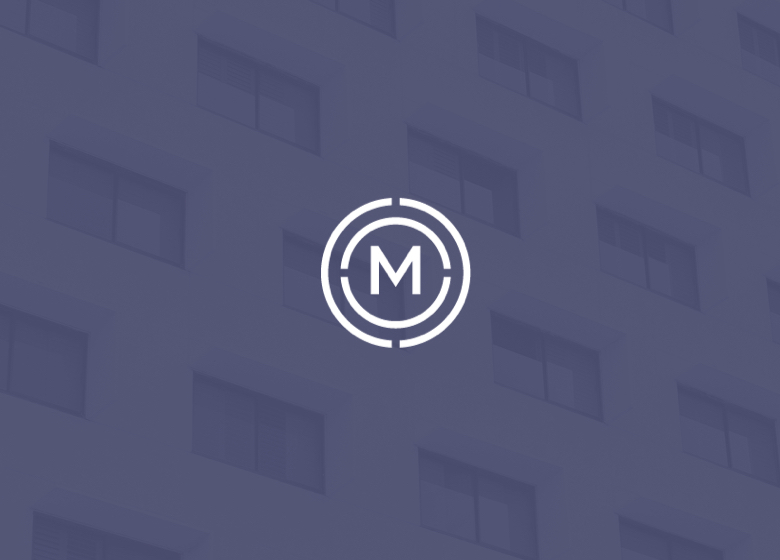 Each building received their own branded app with access to amenities and information that kept them connected with the management team and in sync with their building community. 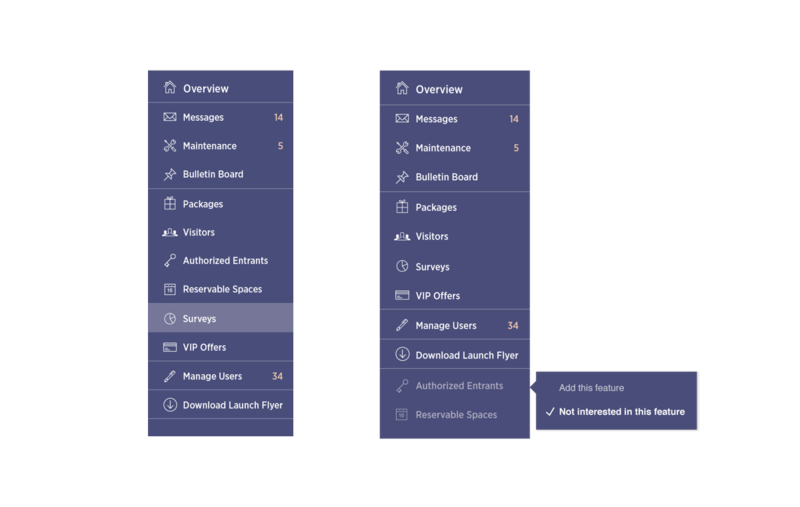 We worked with Mobile Doorman's development team to establish a streamlined user flow. We designed the screens, content descriptions, iconography and white label strategy. 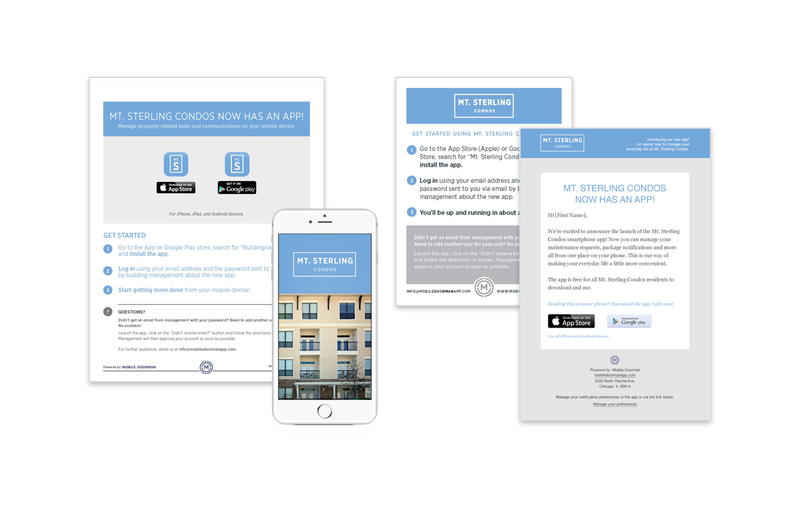 The white label experience included the design for each of the three applications—management, on-site staff and residents—as well as a marketing package to help each building promote the app to their tenants. See the work we did for Mobile Doorman's visual identity, marketing collateral and website.